Let us help you tame your corporate wireless costs. Our patented approach to optimization considering taxes and usage history maximizes your cost savings and gives you new insight into user behavior to drive accountability. Our tax analysis alone can find ways to squeeze an additional 5-10% out of an already optimized corporate wireless spend. 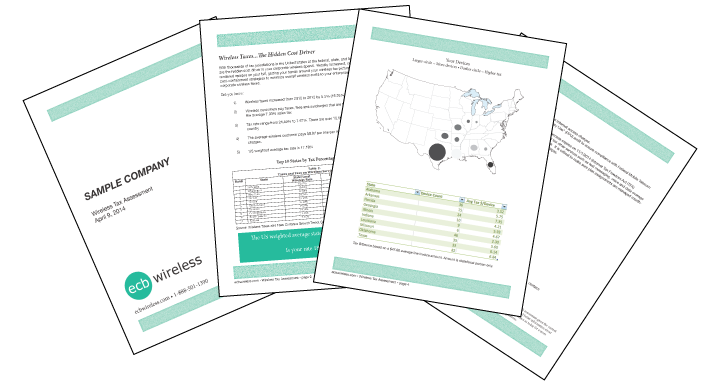 Incorrect wireless taxes could be costing you an extra 5-10% each month. Have us check that you aren't paying too much. Gain visibility and drive accountability in usage of your shared data pool. Our alerts can be sent to users, supervisors, and cost center managers in-cycle and at the end of the billing cycle. Get accountability. Get compliance with your usage policies. See what your real cost drivers are. Eliminate the “user chase” and divining from an invoice what could help the bottom line – let our solution show you with our clear, concise reports how to drive major savings.